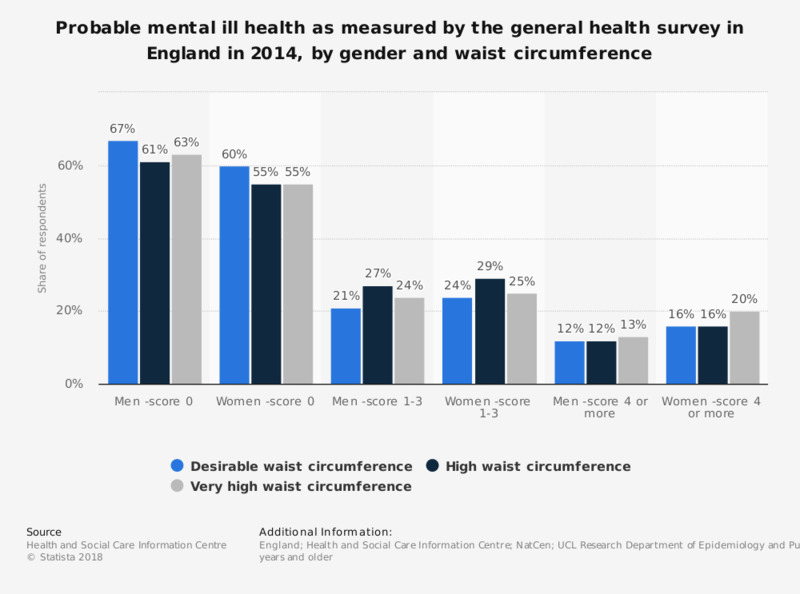 This statistic displays the presence of probable mental ill health according to the general health questionnaire in England in 2014, by gender and waist circumference. In this year, 13 percent of men and 20 percent of women with probable mental ill health had a very high waist circumference. ** The source adds: Desirable waist circumference: less than 94cm in men and less than 80cm in women. High waist circumference: 94-102cm in men and 80-88cm in women. Very high waist circumference: greater than 102 centimeters in men and greater than 88 centimeters in women."